Solid, light, and bomber. The Fixie is G3's answer to guides' and freeriders' demands for a simple, robust, and reliable pole. 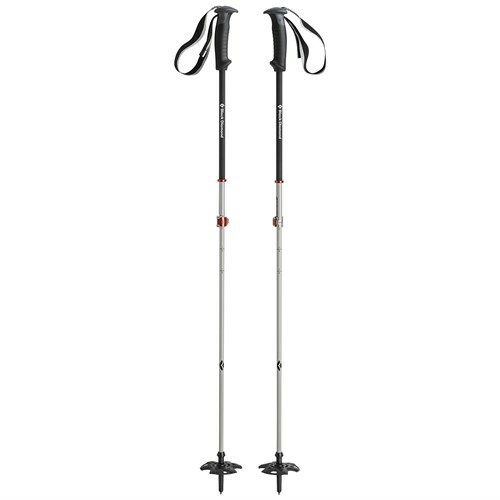 This durable one-piece fixed length aluminum pole shares all the other valuable features of G3's backcountry pole line. 7075 Aluminum Grip It & Rip It - Ergonomic dual density plastic grip shaped for comfort & precision. QuickFlick Utility Tab - Flick your binding risers or buckles with ease. Also aids in precise pole plants. Hard plastic eyelet yields one of 2 attachment points for drying gloves or attaching tent lines. Backcountry Strap - Comfortable, form fitting, and easily removable for skiing in avalanche terrain. 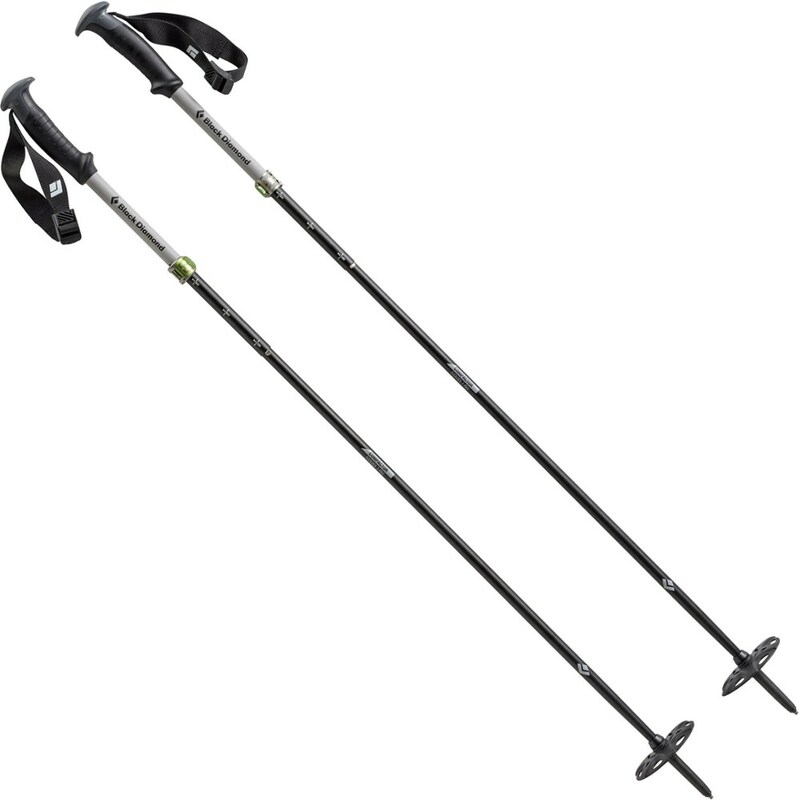 Side Hill Grip - Lightweight and simple lower grip position for side-hill ski touring. Asymetric Powder Basket - Reduces drag & eliminates cantilever effect in hard pack snow or while doing steep terrain kick turns. Easier to hook binding heel lifts up and down. Flex Ferrules - Protects lower shaft. Easily replaceable. Carbide Tip - Grips securely on ice and rock. Provides long term durability. Trekking / Snag Proof Basket - Comes with extra trekking baskets for spring/summer use. 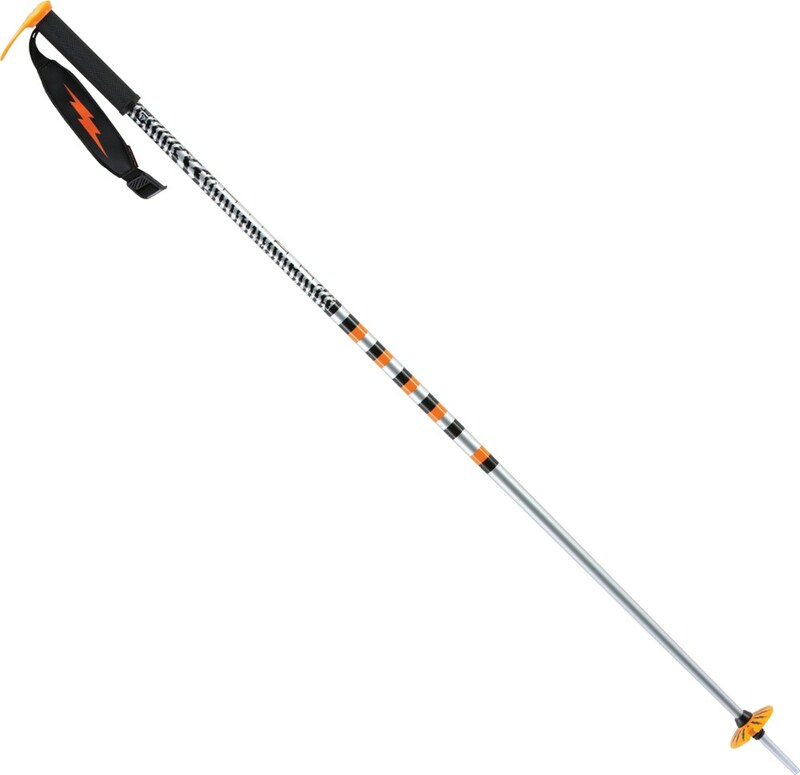 Offering plenty of backcountry-friendly features in a bomber fixed-shaft package, the G3 Fixie 7075 Aluminum Ski Pole is ready to take a serious beating while you're getting after it. 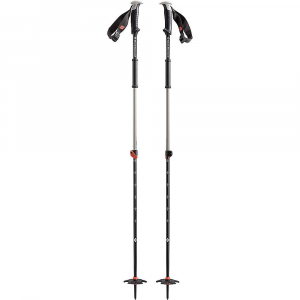 It boasts plenty of touring-ready tech, like a QuickFlick utility tab to adjust binding risers and scrape snow off your skis, a sidehill shaft grip for easy swithbacking, and asymmetrical powder baskets to reduce drag when you're on the go. 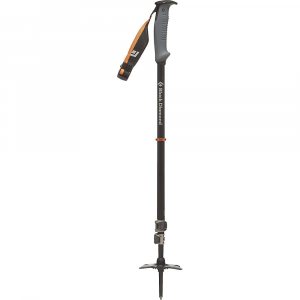 Plastic eyelets on the ergonomic dual-density grip let you string up lines to dry gear or pitch tents, and the backcountry wrist strap provides lots of support while being easy to remove in avalanche-prone terrain. CLOSEOUTS . 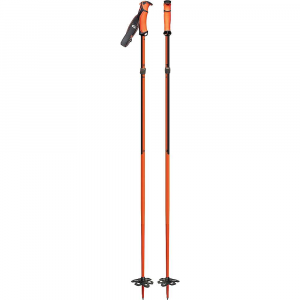 Built of high-grade aluminum and topped off by ergonomic hand grips with removable wrist straps, G3and#39;s Fixie backcountry ski poles are robust and reliable poles built for backcountry guides and freeriders. Available Colors: ORANGE. Sizes: 115, 125, 110.